SilverStone continues to release new SFX power supplies; small form factor PSUs designed for the most compact standard modular PC builds. About a month ago it released the 550W 80 PLUS Gold SX550 PSU, now it has followed up with its most powerful and efficient SFX power supply, the SX700-LPT with 80 PLUS Platinum certification. The new release joins SilverStone's SFX PSU Series as offering the highest wattage and highest rated efficiency unit so far. It is actually a lengthened SFX PSU, referred to as an SFX-L unit. Overall it measures 125 mm (W) × 63.5 mm (H) × 130 mm (D) – according to these dimensions it is the 'depth (D)' that has been lengthened by 30mm. Thanks to this greater capacity, SilverStone has been able to fit a 120mm fan rather than a typical 92mm or even 80mm fan to cool the power circuits. A 120mm fan can rotate slower for the same cooling effect, and will thus help minimise fan noise intensity and pitch. The fan works in semi-passive mode and will not spin-up until PSU loading goes beyond 30 per cent. SilverStone's SX700-LPT has 80 PLUS Platinum certification. According to the spec list it can achieve 89 per cent to 92 per cent efficiency at 20 per cent to 100 per cent loading. Its output characteristics are tabulated below. 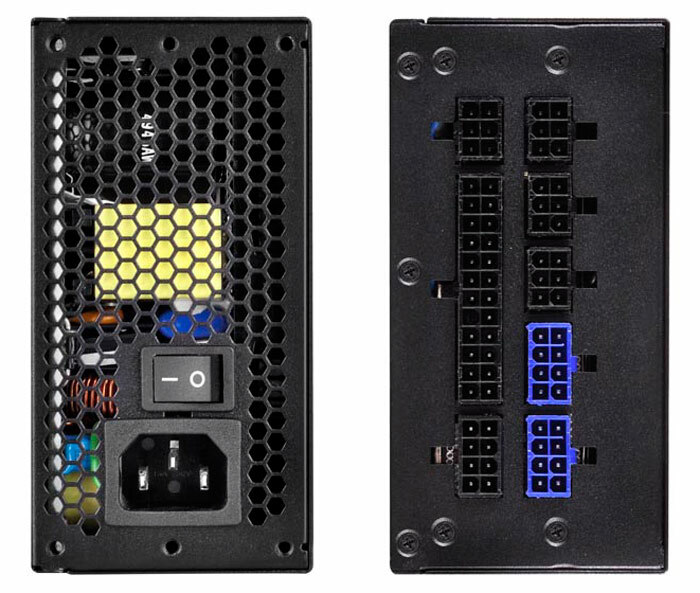 The PSU's powerful single +12V rail can deliver 58.4 Amps. Furthermore this 700W PSU is capable of ±3 per cent regulation, and low electrical ripple and noise performance for high stability. PSU circuit protection is enabled as follows; Over Current Protection, Over Power Protection, Over Voltage Protection, Short Circuit Protection, Under voltage protection, and Over Temperature Protection. If you are interested in SFX PSUs and would like to know more about the SilverStone SX700-LPT you can head over to the official product page which contains full specifications and various technical document PDF downloads. 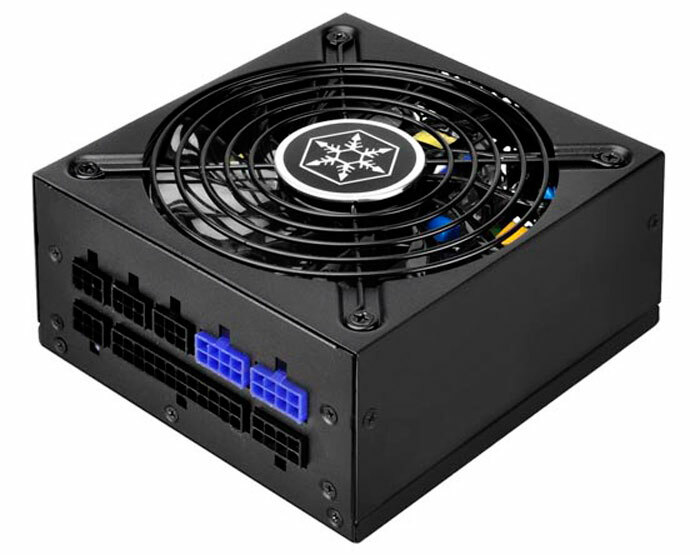 A review of this new PSU is available at the small form factor enthusiast SFF Network. The SX700-LPT has an RRP of $150.